Wink Slots was founded in 2016 and is run by Cassava Enterprises Limited, a company that runs a series of other casinos. With a variety of software available for players, it also has a decent bonus scheme and good wagering terms. If you’re a Bingo fan, then you might have come across Wink Bingo, a very popular site. 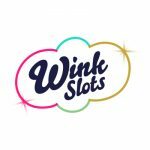 Cassava Enterprises who created Wink Bingo have now graced the online casino world with Wink Slots, the new place to be where you can enjoy even more slots while on the go or from home. This brand new casino is colourful, fun, entertaining and rewarding. Currently, Wink Casino is running an incredible welcome offer that could set you on the path towards your first win. Formed just two years ago, Wink Slots, with its very simple theme and easy to use navigation, is operated by gaming giant 888. The site does not break down the games into software company information which is a pity because often many slot players like to play slot according to their favourite software company and in this case will need to recognize their favourites by the title. The site however, does have games from top producers Netent, Bally, Eyecon, 888, OpenBet, IGT, PariPlay, SkillonNet, WMS and Barcrest. The gaming software working under all of these is Dragonfish, the company that owns Wink Bingo and Wink Slots. Wink Slots Casino realise the importance of attracting players and with this in mind, they offer a generous welcome bonuses. When you sign up with Wink you will be given the chance to win up to 500 free slot spins at $/€20 deposit! With a $/€20 deposit, you will also be eligible to receive a 100% bonus with a maximum deposit of $/€400. Wagering requirements are 30x before you are allowed to cash out. Only slots, arcade games, scratch cards and keno are allowed to fulfil wagering requirements. Another point to be noted is that the maximum you can cash out is the value of your deposit and double your bonus. The minimum deposit you need to make each time in order to receive a bonus is $/€10. All your bonuses and associated deposits need to be wagered 30x before you can cash out. Over and above the welcome bonus, Wink Slots Casino also offer other ongoing promotions. Every Monday, there’s a 50% deposit bonus available and on weekends a maximum bonus of $/€240 is available for your playing pleasure. The smallest deposit accepted by Wink Slots Casino is $/€10, with a maximum limit of $/€1000 per day, $/€3000 per week and $/€5000 per month. For withdrawals, customers are limited to maximum payouts of $/€1000 per day. The following methods are available for withdrawal. The main software used here is Dragonfish and a full suite of games produced by Net Entertainment. The platform is set up as a web based casino, so just with an internet connections you can lay online and not have to concern yourself about downloading any software. With just over 200 slot games available to play, the Wink Slots Casino lobby is bound to hold something for everyone. If you prefer the big action five reels slot gameplay or the simple classics and something in between, you will find just the right game to satisfy your needs. Powered by 888’s their very own game development team you will also find great titles by Netent, Lightning Box, Eyecon Gaming and IGT. If you are interested in the more extravagantly themed slot machines, why not try Sugar Train and Sweetie Land, and for the cutesy spins, we suggest Fluffy Favourites and OMG Kittens. For something a little wilder, spins the reels of Siberian Storm and Raging Rhino and Dawn of the Dinosaurs for a more prehistoric spin. The top slots to try at the moment are Cleopatra, Amazon Quest ad Gonzos Quest. At times it doesn’t matter what game you play as long as there is a chance for the big wins and Wink Slots Casino stocks a great selection of progressive jackpot slot machines where you can win a small fortune. Wink Slots online Casino is mostly about playing the slots games, but there is a small live casino on offer and although a new addition to the family, there are already 12 different games spanning multiple software providers. Evolution Gaming is the backbone to the live dealer experience with Live Roulette and Live Blackjack. Also included are Evolution’s premium games and Live immersive Roulette. This game is extremely popular with players that enjoy live casinos and with its special attention to cinematography, is very immersive and exciting. Do you have a preference for gambling on the go? 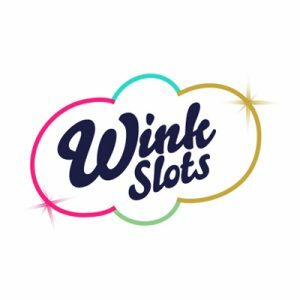 Wink Slots claims to be the number one slot site for mobiles and for this end there is an app you can download from the App Store and an Android one available via Google Play. For iPhones and iPads you’ll need iOS 8.0 or later. On the Wink Casino mobile app you get the chance to play some of the best slots from anywhere of your choosing. The Mobile casino lobby is divided into three game types: Slots, Big Jackpots, and Casino and in all of these sections you’’ find options to play for free, play the recommended games, browse the best titles and also you can see what the latest additions are. Currently, the new releases include Gringos Dineros, Kitchen Run, Lady Robin Hood and Koi Princess. If you are feeling lucky and want to try and win the jackpot, try your hand at Millionaire Genie where you could win euro 1 million today! In the casino games tab, there are multiple versions of roulette, and Blackjack. Wink Slots Casino is operated by Cassava Enterprise, based in Gibraltar and the casino has a license from the Gibraltar Gaming Commission which allows them to provide professional games to various countries. Wink Slots is also regulated by the UK Gaming Commission which means that players in the UK can rely on the stringent legal framework and enjoy the games safely knowing that everything on the website is fair, secure and responsibly managed. The games at Wink Slots are tested for fairness by eCOGRA, one of the leading independent bodies whose responsibility it is to verify the Random Number Generators used by casino providers. Cassava Enterprises has given us a great online slot casino experience and having the backing of the 888 Group definitively helps gets things in place. There are many good quality slots at this casino and even the live casino doesn’t disappoint. It’s been said that the casino games selection could be more expansive but all the major games are there. The casino is regulated by top companies and all the slot games are tested for fairness by a leading independent body. Considering all of this, Wink Slots Online Casino comes highly recommended by our reviewers and you can’t get better games than the online slots and the live casino. There is a huge array of titles and all in all Wink Slots offers a never ending supply of immersive, enthralling online gaming. There are big progressive jackpots, plenty of slot games and a live casino that will keep you playing for ages. Whilst the games put this new casino on top, the welcome bonus and free spins are impressive and give players the perfect opportunity to play for extra free cash. Wink Slots also offers a multitude of ways to deposit and withdraw funds and along with a friendly helpful customer support team, we highly recommend it. All that’s left to do is head over to the online casino, register and enjoy your welcome bonus and free spins.